Wondering why your heat transfer vinyl is not sticking? Maybe you thought that it adhered properly, but after a few washes, you noticed the heat transfer vinyl peeling off. 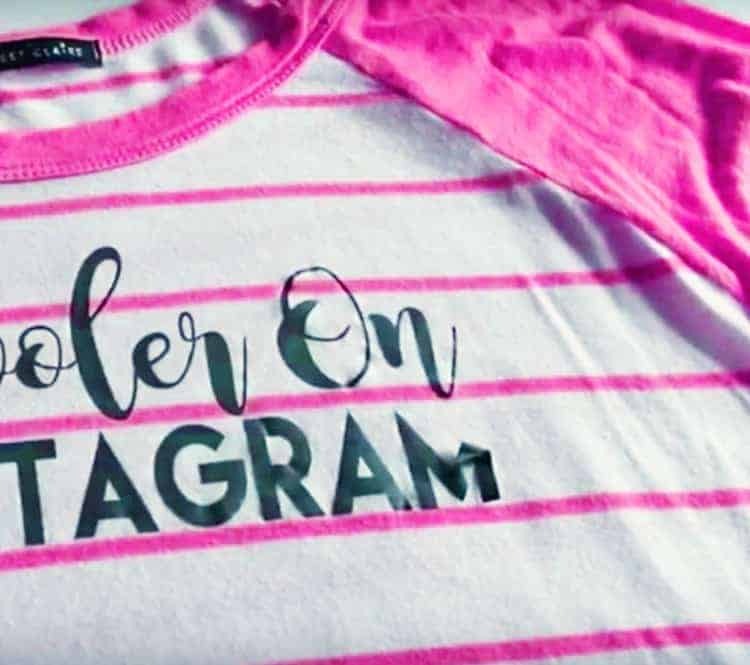 Or maybe you could tell that your HTV was barely sticking after the press, so you weren’t all that surprised to notice the heat transfer vinyl coming off – but you really wish you understood what went wrong!? Today we share you with you the 8 most common reasons why your HTV did not adhere properly to your fabric. Why Is Your Heat Transfer Vinyl Peeling Off? First of all, it is important to know that it is in actual fact pretty normal to have a heat press project go wrong. It happens to everybody, and these mistakes allow us to learn and improve. So if you can’t figure out why your heat transfer vinyl won’t stick, we are here to help you learn more about the most common issues when it comes to applying your vinyl. And whilst you are at it, make sure to read our post on how to ensure that your iron-on vinyl will last for longer. Did you know that it is important to match your type of vinyl to the correct type of fabric? 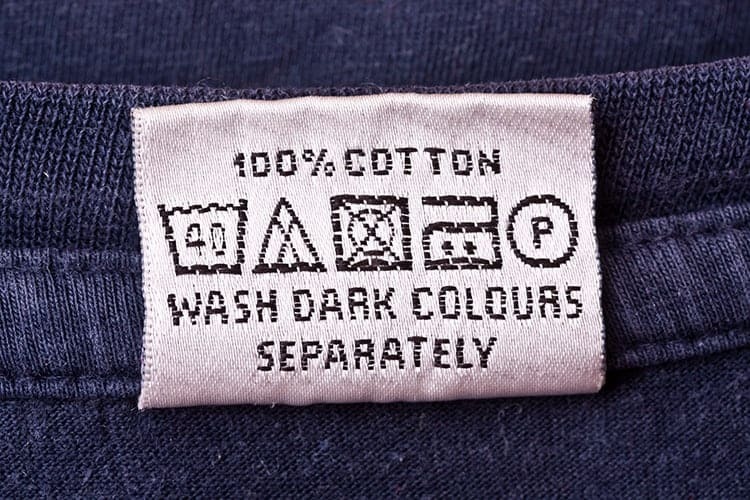 So first of all, check the tag on your shirt to see what the shirt is made of. Next, use our list below to see if you used the right type of vinyl for your shirt. Nylon: Most crafters love working with Nylon shirts, which means that you need to purchase heat transfer vinyl for nylon. Spandex: If you are working with Spandex, you should work with Vinyl that loves sticking to Spandex. Other Types: For shirts made from cotton, poly, cotton/poly blends, and more, the safest choice is Siser Easyweed. Siser Easyweed is really popular and it is a great quality vinyl. Click here to grab some Siser Easyweed vinyl. You might also like to hop over to our guide on the best heat transfer vinyl for shirts. The brands listed on that post has all been tested and works brilliantly on T shirt fabric. All vinyl comes with instructions. Simply follow them for the best results. It is important to get the time, temperature, and pressure settings correct, in order to adhere to your HTV correctly. This is why we prefer to use a heat press machine instead of an iron because then you can set and control each of these settings. Have a good think about your vinyl transfer placement. Areas that are raised can cause more headaches than what it is worth! You will lose a lot of pressure over areas that are raised, which will result in some vinyl adhering properly whilst other sections might still be a bit loose. Fortunately, you can use a heat pillow if you are really set on the idea of adhering your design over raised areas. But if you are a beginner, we highly recommend that you keep things simple and just try to avoid these areas for now. Click here if you want to grab a heat transfer pillow. 4. Does the Fabric have a Coating? Another common problem can sometimes be that the fabric has a coating on it. Some shirts have a waterproof coating, whilst others might have a fire-retardant coating. Vinyl sticks to the fibers of the fabrics, so if there is a coating on top, it will stop the vinyl from adhering correctly. So best to grab some blank apparel that doesn’t have a coating to keep life nice and easy. We love grabbing our blank apparel from Happy Crafters. They have shirts, polos, caps, bags, activewear and more. Click here to see their range. Does your heat press distribute heat evenly? Some heat press machines tend to have hot and colds spots – which will obviously cause problems with how well your vinyl will adhere. Sometimes the heating elements in a heat press will stop working properly. So it might be time for a new machine. Why not check out our handy guide to help you find the best heat press machine for vinyl. 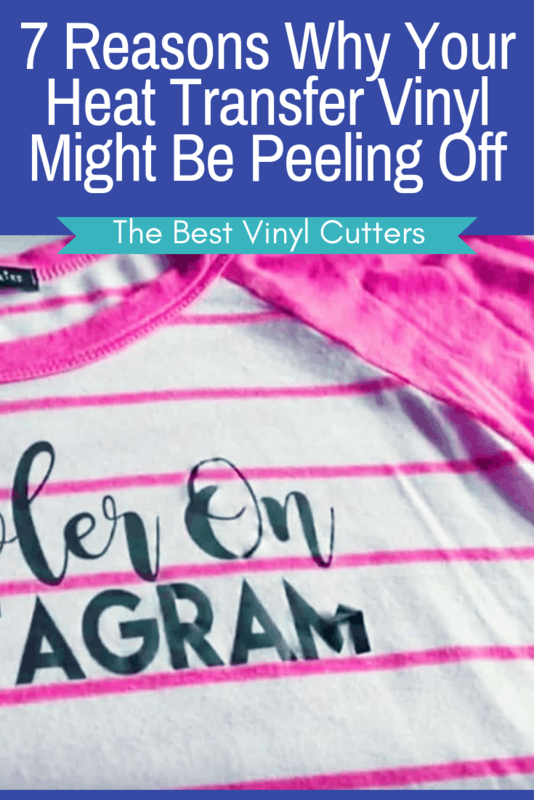 Are you peeling off the vinyl backing whilst your vinyl is hot, or do you wait for it to cool down? Which is the right way? Well as always, it is best to check your vinyl’s instructions. Some types of heat transfer vinyl require their backing to be peeled off straight away (so whilst it is still hot), whilst other types of vinyl require you to cool it down completely before you remove the plastic carrier. 7. Did you Use Fabric Softener? Some crafters love to pre-wash their apparel. And sometimes, without even thinking you might add fabric softener, just like you would when washing your everyday clothes. The trouble is that the softener creates a bit of a coating in between your fibers, and this causes problems when your vinyl tries to stick to those same fibers. 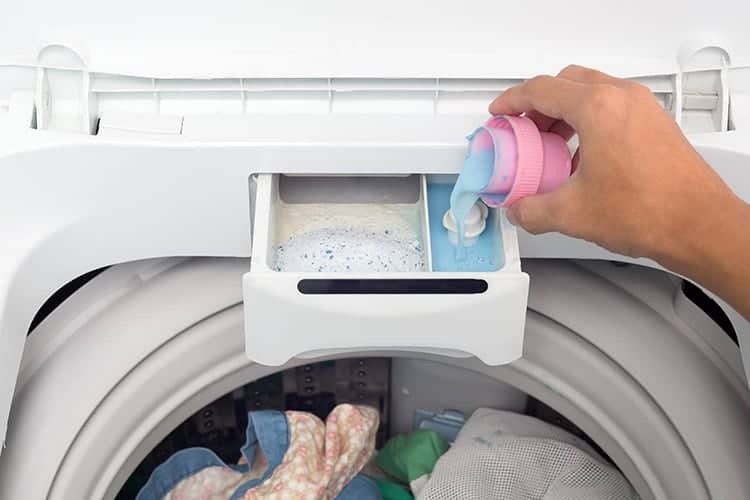 I recommend that you forget about pre-washing your clothes, or if you do feel the need to do so, at least stay away from the fabric softener. Are you using an iron, instead of a heat press machine? Here is a video that has some great tips on how to get your HTV to stick when using an iron. I’m curious to know if you managed to figure out what went wrong with your vinyl? Please let us know below why your vinyl was peeling off. If you have any additional tips on how to help your HTV stay adhered, please share them with all our readers in the comments below. Hi Matt, that sounds frustrating. Before peeling do you very carefully check that the corners are fully pressed? Also, which heat press do you have, the clamshell sometimes have issues with not displaying even pressure, so the centre of your design might get brilliant pressure whilst the outer edges don’t receive the same pressure? When ever I get done heat pressing my shirt some of the vinyl peel off and I used the siser easy weed I press at 305 degrees for 10-15 seconds but my vinyl peels off. What are you using to press with? Could be a problem with your heat press having cold pockets or pressure issues. 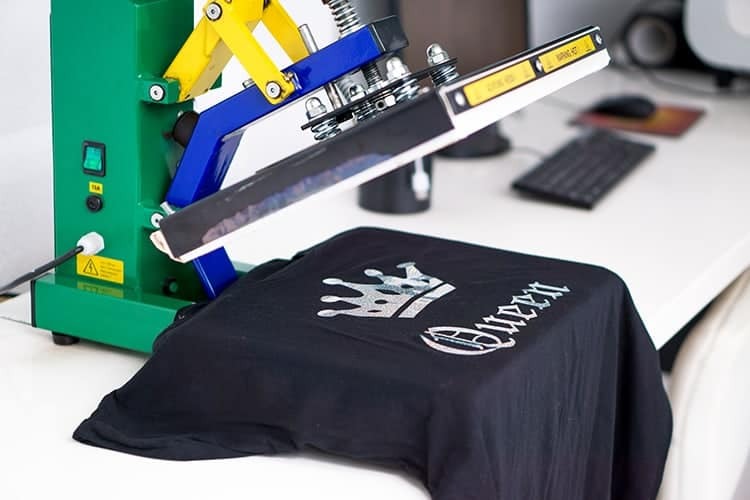 Siser Easyweed is the best HTV you can buy and it is pretty easy to apply, so I’m going to assume that the problem might be with your heat press. Are you doing a quick pre-press to remove moisture? Do you test the corner of your vinyl to see if it is adhered properly before peeling back the carrier sheet? I also love to flip over my shirt and do a 10-15 sec press on the back of the shirt as well.